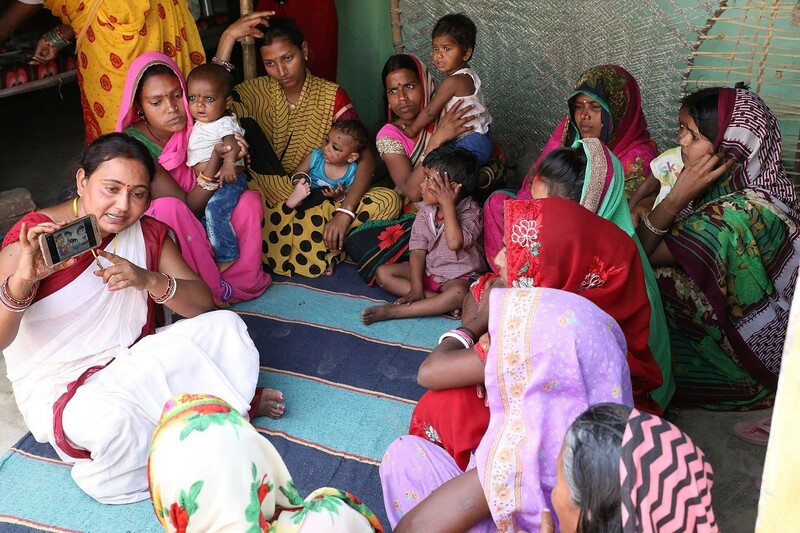 In 2004, Sangeeta joined as an Anganwadi Worker (AWW) in Pusa, Samastipur, Bihar. In March 2017, she received a training on ICT RTM -CAS (Information and Communications Technology Released to Manufacturing-Computer Application Software). It was a 12-day training with 8 modules. ICT RTM-CAS mainly emphasised on the use of communication technology for development. Initially, she felt nervous about her work because she was doing this for the first time. However, as the days progressed, she adjusted well with the system. Now she has become more efficient and understands how it functions. Earlier, in the Integrated Child Development Services (ICDS)-CAS she had to be fill the records manually. Due to digitization of the data now her task has become easier. It has also reduced the pressure of records and register maintenance.11 out of 10 registers have now been converted into this system. CAS has enabled her to capture data and upload in an offline mode. As a result, the fear of losing data is reduced and she can use the data anytime even without internet access. She firmly believes that the system has brought a revolutionary change in services such as Growth Monitoring. Growth Monitoring is defined as a regular measurement of a child’s height and weight to document growth. Earlier growth monitoring was a cumbersome task and most of Aanganwadi workers were not apt for this service. The data was entered manually, but due to ICDS-CAS this service has become user-friendly. She can now enter the weight and height of the child and growth monitoring status is reflected based on the grading system (i.e. Red, Yellow and Green). On the other hand, a mobile based message is delivered to the beneficiaries whose Aadhar card is linked to his/her mobile phone that shares updates about the growth monitoring status of the child. Additionally, she indicated how tracking the beneficiaries who have received Take-Home Ration (THR) has been helpful for her. According to her earlier preparing a list was a burdensome process, but now due to this system she can easily manage the due list and keep a track of the status of immunizations registered at her AWC. She now to gets reminders and alerts through the applications that helped her plan her visits to the beneficiary which was earlier cumbersome paperwork. Initially, the process of Behaviour Changes Communication (BCC) was poor. Not a single beneficiary was interested in the counselling aspect, but due to introduction of International Electrotechnical Commission (IEC) material related to health and nutrition behavior change practices was introduced in the form of videos and this helped to create impact on a large scale.